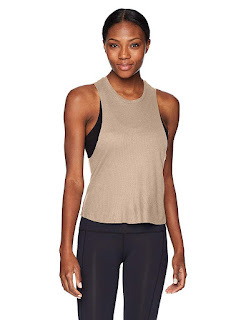 Alo Apparel Size Chart Go with the flow in the stylish Alo® Flow Thermal Tank Top. Slim fit hugs the body while still leaving room for movement. Lightweight thermal-knit tank crafted from a soft jersey-stretch blend for ultimate comfort and mobility. Raw-edge trim lends a worn-in, vintage look. Round neckline. Sleeveless design with wide armholes. Cropped straight hemline. 97% rayon, 3% spandex. Machine wash, tumble dry. Imported. Measurements: Length: 23 in Product measurements were taken using size SM. Please note that measurements may vary by size.